Amount of carbs is an est. from an Atkins conversion chart and may not be exact. Cut chicken into small cubes. Mix celery, mayonnaise, mustard and parsley in a bowl. Add chicken; toss to coat. 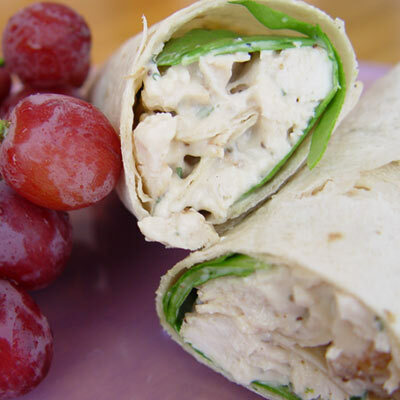 Place tortillas on a flat surface, lay one whole lettuce leaf on each wrap with 1/3 salad mix on each.